Brussels Airport has presented its ‘Strategic Vision 2040’, which will enable it to take part in the expected growth in the aviation industry. 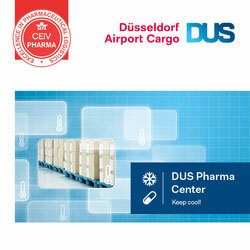 The programme includes a redesign of the airfreight village Brucargo, a move which is welcomed by Air Cargo Belgium. Brussels Airport wants to prepare for the forecasted annual growth of the global passenger traffic by 3.8% and of cargo by 4.7% by 2040. For Brussels Airport, this would mean 40 million passengers and 925,000 tonnes of cargo, up from 23.5 million and 490,000 t respectively in 2015. “Belgium is an open export-driven economy, which demands a strong logistics performance. 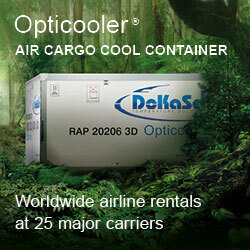 Air cargo plays a central role in this, especially for high-value and temperature-sensitive products which have to be transported fast. Key industries for our country, such as pharmaceuticals, chemicals, biotech, e-commerce and fresh products rely on a speedy and qualitative airport to ship or receive their products,” Brussels Airport Company explains. In order to make the logistics chain even more efficient and accommodate further growth, Brussels Airport will redesign Brucargo and replace old premises by a more modern energy-efficient infrastructure. A new building at the entrance will house all non-cargo related activities among which service companies, a car park and a supermarket. Due to the terrorist attacks of 22 March this year, Brucargo has had to accommodate passenger facilities like a remote drop-off area, to the annoyance of some members of the forwarding community (a topic which will be dealt with in a later CargoForwarder article, MS). The redesign of the site will be based on the grid system of parallel streets on which different types of buildings can be constructed, like warehouses, offices, handling agents’ premises and aircraft hangars. The available space can then be used in a most efficient way, allowing a smooth traffic flow. 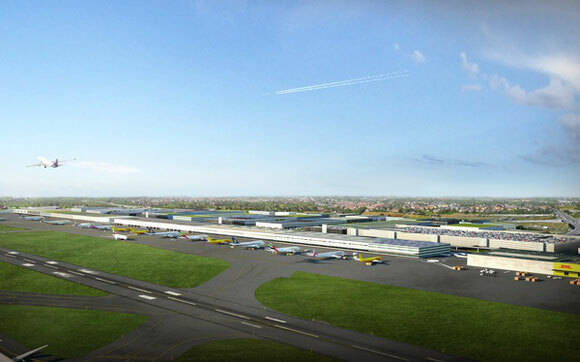 The premises bordering on the airside will be terraced-built, so that they can act as a sound barrier for the area adjacent to the airport. This first line zone is intended for companies that transport, pack and store cargo. The second line, also made up of parallel streets, will be perpendicular to the first. In this way they can form an easy access route for trucks. This area will be dedicated to logistic companies and warehouses for temporary storage. Another zone will be reserved for express companies, to be developed according to their needs. The new umbrella organisation Air Cargo Belgium (ACB) has welcomed the ‘Strategic Vision 2040’. “We are pleased that this clear and ambitious plan has an eye for cargo as well,” says ACB’s Vice-President, Bas van Goch. “This year Brussels Airport was chosen as the best cargo airport in the world for the third time in a row. This was the result of years of hard work and investment in a forward-looking airport,” Bas says. ACB also reaches out to Liege Airport, which is doing very well. “We are not competitors to one another. Brussels has a different profile than Liege, which makes us rather complimentary to one another. 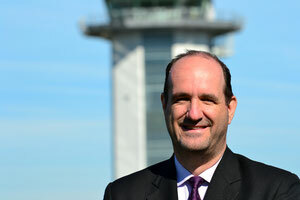 Our competitors are Amsterdam, Frankfurt and Paris,” says second vice-president Alain De Heldt. ACB thinks that Belgian politicians should realize that there can be no such thing as an intra-Belgian competition. “The regional focus on the airports has caused Belgium to lose ground to its neighbours." Alain refers to the fact that the Belgian federal government is responsible for Brusssels Airport. It is, however, situated entirely on the territory of Flanders, which has its own legislation concerning road traffic noise regulations. In contrast, the regional government of Wallonia isresponsible for Liege Airport. Some measures included in the strategic plan may have an impact on the community living in the vicinity of the airport and the first NIMBY actions are already emerging. ACB calls for emotions to be removed from the discussion and for pure facts to take their place. Since 2000, the nuisance caused by the airport has dropped considerably. “If politics had done a proper job, an airport causing less nuisance today than in 2000, would have a larger support to contribute to the economic development and growth of the country. The national airport cannot survive without cargo and cargo cannot survive without passenger flights,” ACB concludes. During the first 10 months of the year, cargo volume at Brussels Airport declined by 2.3% compared to the same period in 2015. At the beginning of the year the downward percentage was 2.1%. In March the volume dropped by 9% mainly due to the terrorist attacks on the 22nd that month. Brussels Airport also had to deal with the effects of a national strike in June affecting air traffic negatively. Howevery, recovery started in August with cargo figures rising again, thanks to additional flights operated by Singapore Airlines, Qatar Airways and the return of Ethiopian Cargo from Maastricht Airport to BRU.